White House senior advisor Jared Kushner met with Saudi Crown Prince Mohammed bin Salman for the first time since the murder of Washington Post journalist Jamal Khashoggi. President Donald Trump's son-in-law met with the crown prince in Saudi Arabia Tuesday, according to a statement from the White House. During their meeting, the two “discussed increasing cooperation between the United States and Saudi Arabia,” as well as “efforts to facilitate peace between the Israelis and Palestinians.” The statement makes no mention of Khashoggi, who was killed in October inside the Saudi consulate in Istanbul. Turkey , the U.N.
, various U.S. lawmakers , and the CIA all said the Saudi government was responsible for the journalist's murder. The CIA and some U.S. lawmakers think that the order likely came from the crown prince himself. Despite this, President Donald Trump has continued to support Salman and the kingdom. 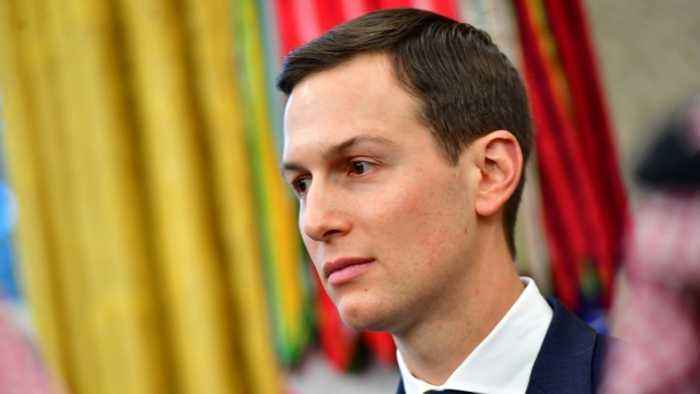 Kushner is visiting several Middle Eastern countries this week in an effort to gain support for the Trump administration's potential plan for an Israeli-Palestinian peace deal, according to multiple news outlets. Kushner met with Turkish President Recep Tayyip Erdogan on Wednesday. Additional reporting from Newsy affiliate CNN .